Calling all heroic kids! The City of Megalopolis needs your help rescuing people and animals, catching villains, using your brain power, and disposing of Kryptonite. 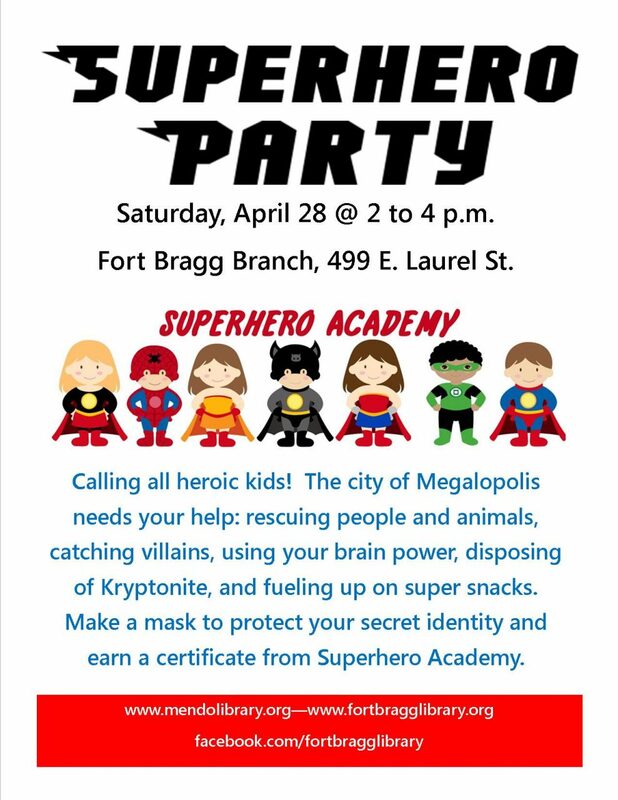 Don your capes and join us for a Superhero Party where you can make a mask to protect your secret identity, fuel up on super snacks and earn a certificate of achievement from the Superhero Academy. 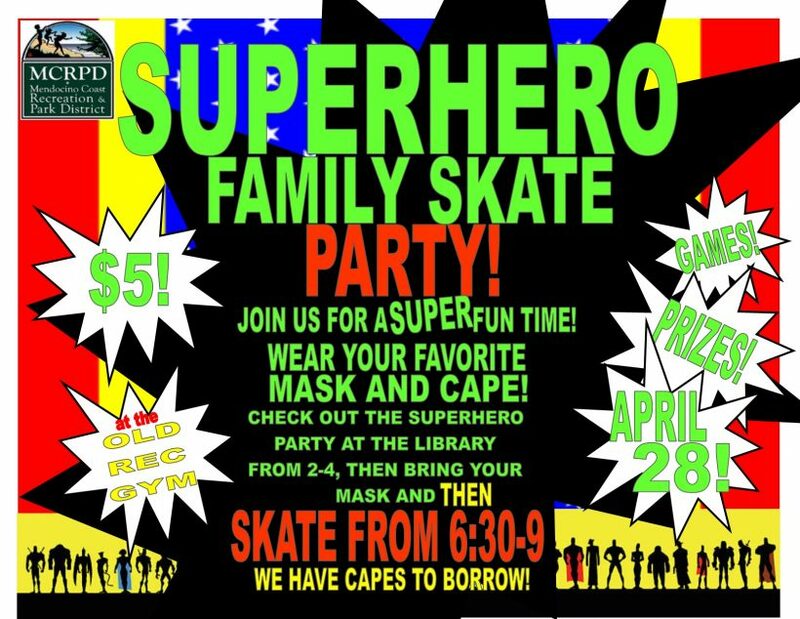 The fun begins at 2 pm on Saturday, April 28, 2018 at Fort Bragg Library and will continue with MCRPD’s Superhero Skate Night* at the Old Rec Gym.